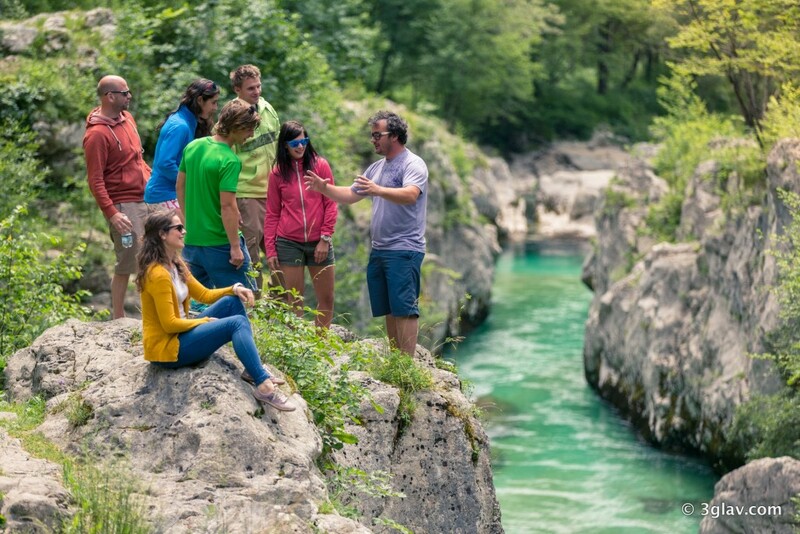 Our signature trip EMERALD RIVER ADVENTURE™ is a really great, dynamic and fun day out, where you explore most beautiful places all around the Triglav National Park and Julian Alps and have good fun all through whole day. 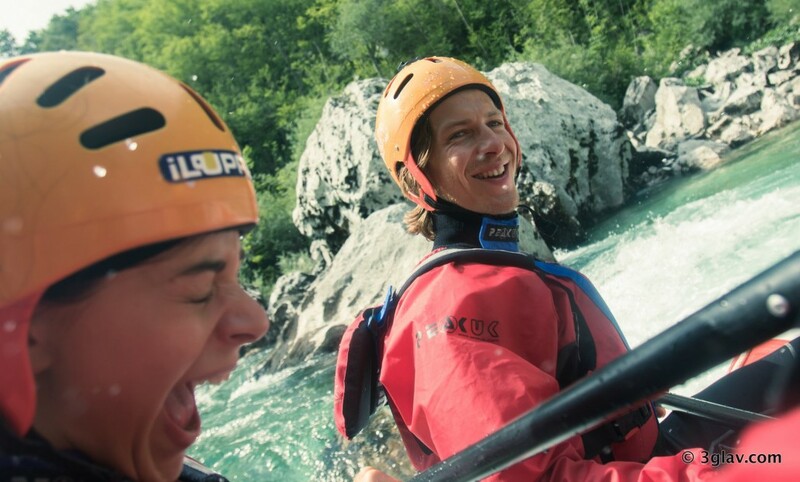 Most of our guests also join optional best white water rafting in Slovenia on the river Soča, which is one of the highlights of the day. 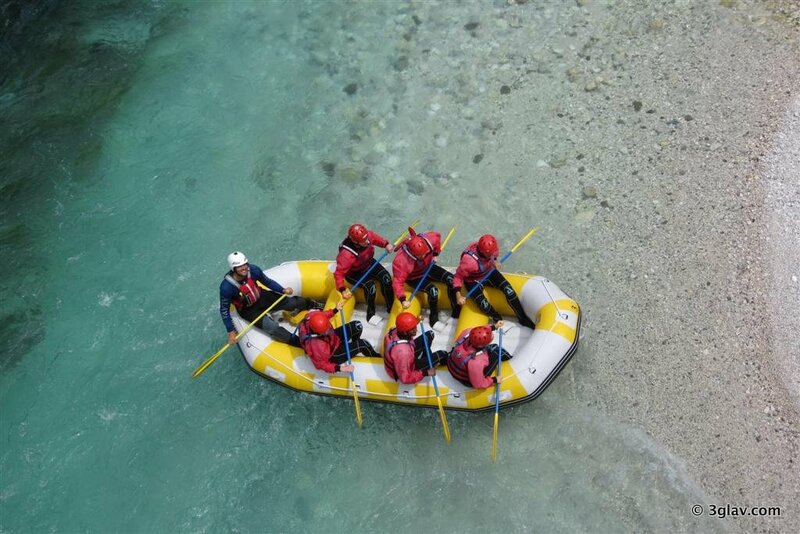 Emerald River Adventure™ might seem more like a very scenic, friendly and fun good old road-trip with friends, rather than a conventional day tour. A moderate amount of walking is involved. Due to uneven surfaces, this day trip is not recommended for those with walking disabilities. Emerald River Adventure™ departs at designated time and it’s recommended to be at meeting point no earlier than 5 minutes before departure and no later than exact departure time. (TIP for guests staying in LJUBLJANA: Catch a bus leaving from Ljubljana main bus station for Bled at exactly 7.00am. Then please get off the bus on the Lesce train-station (LESCE ZP on the timetable – it’s one bus stop before Bled) at 8.10am, where we will pick you up. After the tour we’ll drive you back to Bled station to catch a bus for Ljubljana leaving at 8.30pm. You can buy tickets on the bus, each way costs around 6 EUR. 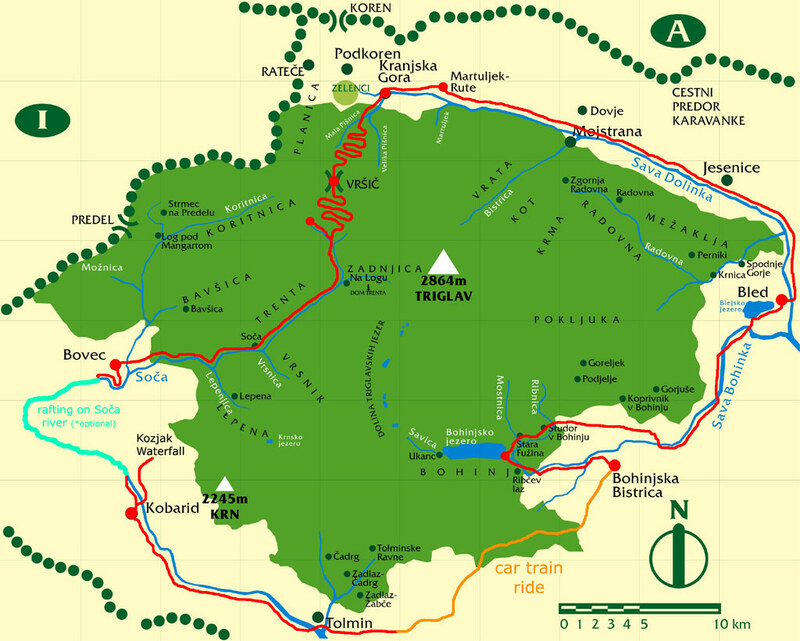 Brief route plan of our original Emerald River Adventure™ is a mini-van day trip from Bled all around Triglav National Park and right into the heart of the Julian Alps. 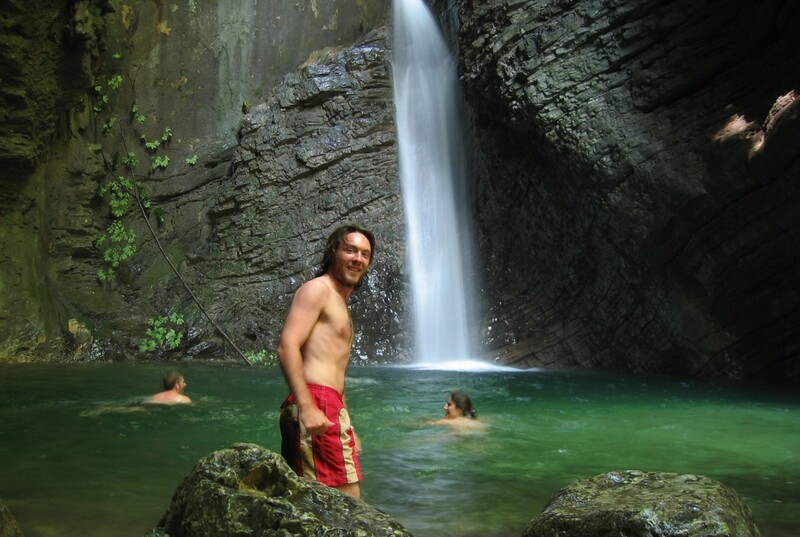 There’s approximately 2,5 hours of scenic drive throughout the whole day with stops every 10-30 minutes for points of interests and activities (hiking, swimming, rafting, all optional). There are 3 major and very scenic & rewarding hikes of moderate grade involved throughout the day, around 30-45 minutes each. Any or all of these hikes can by skipped by request of individual guests who can wait by the mini-van which is always parked on a scenic spot. Emerald River Adventure™ is and should be just fun. Nothing extreme, so a short via ferrata section at the end of the 2nd. hike is totally optional and we encourage people who don’t feel comfortable with that to skip that part. 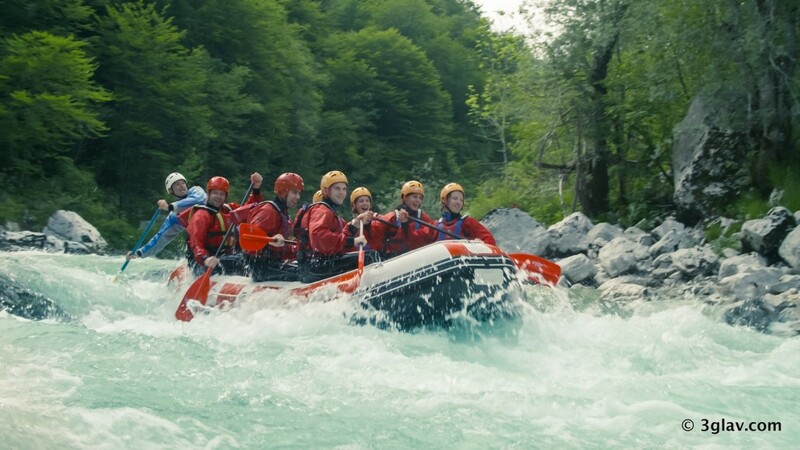 Major landmarks you pass by on our original Emerald River Adventure™ day tour are Lake Bled, Karavanke Mountain Range, Kranjska Gora, Jasna Lake, Russian Chapel, Prisank Mountain Window, Vrsic Mountain Pass, Ajdovska Deklica, Soca River Source, Soca River, Velika Korita Soce, Bovec, Kobarid, Boka Waterfall, Kozjak Waterfall, Most na Soci, Bohinj Lake. *Car-train experience that we usually incorporate into original Emerald River Adventure™ operates from last Saturday in April till last Sunday in September every year. 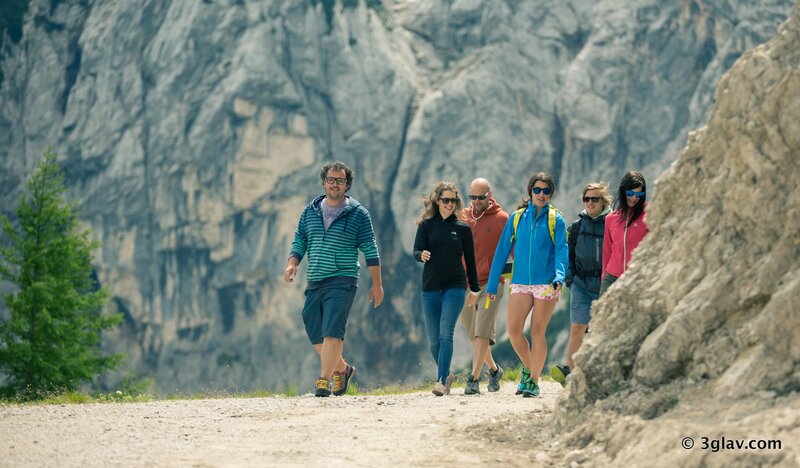 Outside this dates and sometimes on a busy summer season days or on any other unpredictable situations beyond our control we choose alternative route via scenic Sorica pass. *We also choose alternative route via scenic Predil pass on any days that road conditions, special events or other situations beyond our control do not allow safe drive via Vršič pass. Please express your wishes for see a particular sight, landmark and attraction listed above to our guides, so they’ll point them to you when you will be passing on this day tour. 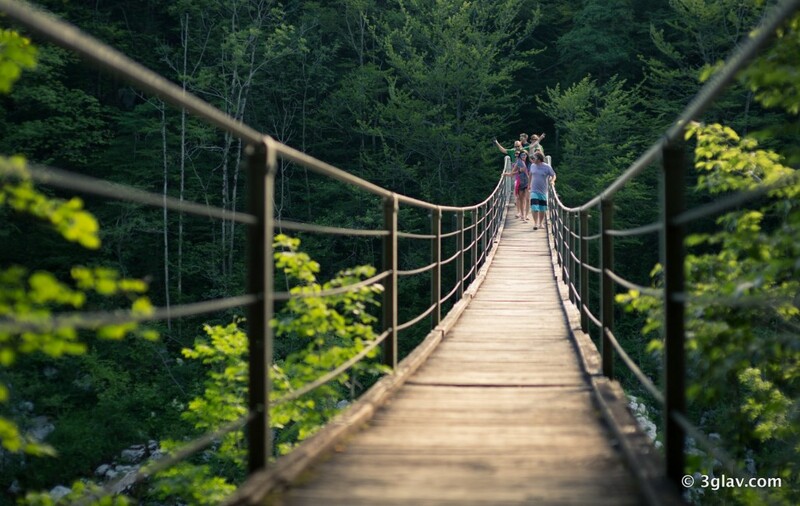 A minimum of 4 guests is required for Emerald River Adventure day trip. There is a possibility of cancellation after confirmation if there are not enough people to meet the minimum numbers. If activity is cancelled, you will be offered an alternate date or a full refund. Most of our activities operate on daily basis in our high season. Original Emerald River Adventure™ runs rain or shine. Places for all our tours, trips, activities and adventures might be out of stock even they were marked as available at the time you finalized your booking due to unexpectedly high demand or booking system errors. 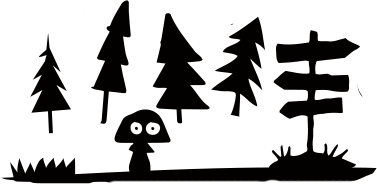 At those rare occurrences we reserve the right to cancel your booking and you will be offered an alternate date or a full refund. 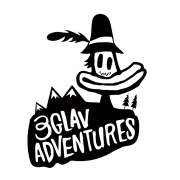 We run all our tours, trips, activities and adventures in Slovenia by Slovenian standards, which might interfere with some other cultural and religious differences/views. Please consider this fact before joining our activities.